Mati Greenspan, Senior Market Analyst at FX broker eToro, has provided his daily commentary on traditional and crypto markets for April 17, 2019. The text below is an excerpt and does not contain the full analysis. eToro Announces Crypto Exchange, Stablecoins: eToro CEO Yoni Assia announced the launch of eToroX, a crypto exchange with 8 brand new stablecoins hedged by various fiat currencies. eToro’s goal is to tokenize all assets on its platform. Crypto Volumes Subside: After bitcoin trading volumes spiked alongside its price, volumes have cooled to a bit under $500 million over the past 24 hours. Price has remained above $5,000 and its 200-day moving average. Earnings Season Continues: Morgan Stanley will announce their earnings after BlackRock delivered solid numbers yesterday. Netflix’s earnings were underwhelming but their share price wasn’t particularly affected in after-hours trading. China Growth Subpar But Beats Expectations: China announced quarterly GDP growth numbers equal to Q4 2018’s decade-low 6.4% today. Now, as a trader, I can completely understand this sentiment. But as an enthusiast of decentralized markets, my brain is working double time imagining the possibilities. In fact, this is nothing short of a first step in the process of tokenizing the world. Eventually, all assets will move into a native digital form. This is one of the key sentences of Yoni’s keynote speech yesterday. In fact, the core goal of eToro is to democratize finance and we’ve been working on the concept of tokenization since 2012, even before the term tokenization was coined. We’re not alone anymore though. Our early efforts to tokenize the eToro platform inadvertently led to the creation of Ethereum but these days, an entire industry has sprung up around this concept. Earlier this week, a startup called 20|30 raised £3 million to start offering tokenized assets on the London Stock Exchange. Further to this, an investment management firm known as Arca filed with the SEC to start issuing tokenized bond based products. As Yoni said, the total market cap of all cryptoassets is now about $200 billion, but by the time the gap is bridged all $140 trillion worth of traditional financial assets will move over to the blockchain. Chinese growth figures surprised to the upside this morning but were still fairly disappointing. The GDP figure for the first quarter of 2019 came out at 6.4% growth, matching exactly the figure for the 4th quarter of 2018, the lowest numbers in a decade. The silver lining: analysts were expecting 6.3%. In any case, the People’s Bank of China has already been anticipating the slowdown and has been hitting the stimulus measures hard in anticipation. So the overall effect of the numbers is still pretty muted. 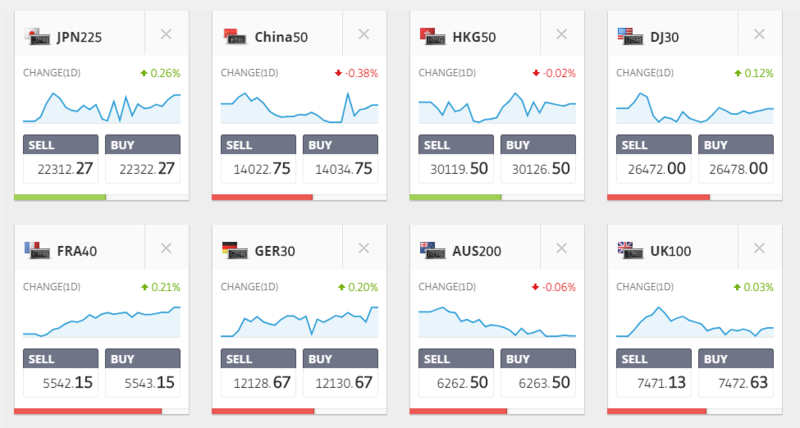 The Chinese index has dropped a bit today but Japan and European indices seem to be holding their own. BlackRock managed to deliver in their report yesterday, shining a bright light on the financial sector. Today we’ll be looking for confirmation from Morgan Stanley, which reports before the opening bell. Netflix on the other hand, did not do so great but their share price doesn’t seem too affected in after-hours trading. Other than the current space cat drama on social media, which we mentioned yesterday, and of course the tokenization trend mentioned above, there doesn’t seem to be a whole lot driving the crypto markets today. Volumes have cooled down somewhat as well. Messari’s real 10 shows a bit less than $0.5 billion traded on bitcoin in the last 24 hours. Bitcoin’s price is holding above $5,000 and well above its 200 day moving average. Though we do seem to be in some sort of slumber, there’s really no telling how long this will last. It could take months to see another breakout, or it could happen between now and the time you read this message. As always, please keep sending me your excellent questions, well thought out comments, and top-notch feedback. The post Daily Market News: Earnings season continues appeared first on LeapRate. Daily Market News: Earnings season continues was first posted on April 17, 2019 at 4:40 pm.